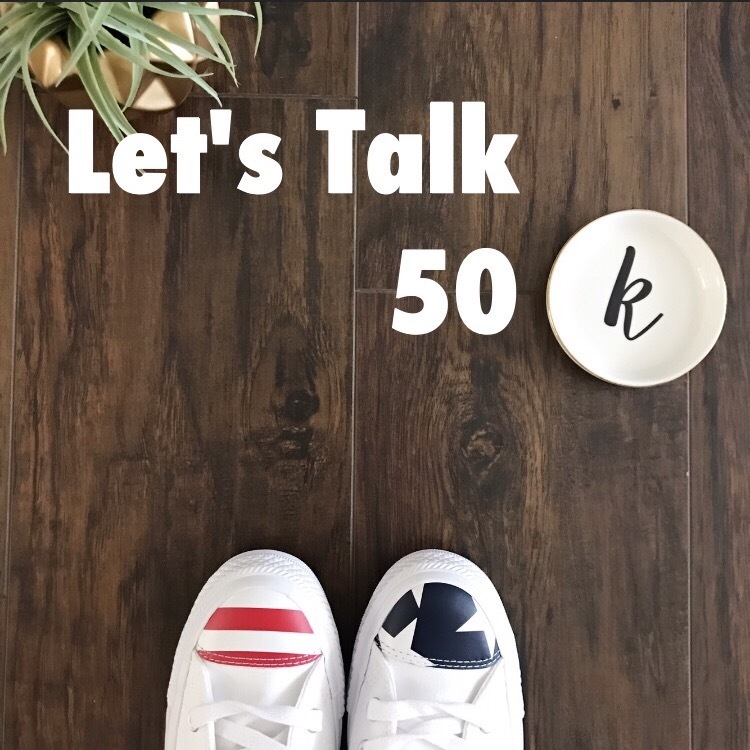 Does Modeling Clothing For Poshmark Increase Sales? One of my Poshmark friends asked me a question the other day, “Do you think modeling in your photos helps a lot?”. I responded to her with a yes, but the question sparked a desire to write out a more in depth answer. I’ve been asked this question before and I’d like to share why I feel modeling in photos might help increase sales. Of course this is all just my opinions and such, but I do hope you enjoy this post and find my insight helpful. So there are several ways to go about listing products on Posh; there’s the classic stock photo that’s available when you google the title of an item, you can also choose flat lays (one of my top favorites), there’s the option of putting it on a hanger, there’s using a dress form/mannequin, and probably my most favorite way putting the clothes on and modeling them in front of my camera. A few years back, I did an overhaul on my closet. I deleted all the old pictures I had and replaced them with bright colorful pictures of me modeling a majority of pieces and showing how I would wear something. Doing it this way gets potential buyers wheels turning and visualizing themselves wearing the outfit. And what happens when you’ve been aesthetically pleased to that point? You buy. One of the reasons I like to wear the clothes I’m selling is because I believe modeling inspires people to see the endless possibilities of a piece of clothing they might purchase. They visualize themselves in the outfit and that’s a pretty strong connection. For example, the below modeled dress commands attention and power. If I put it on my mannequin, somehow it doesn’t command as much presence. The mannequin doesn’t have that personality that a human body brings and at times I believe that’s the difference between a sale and something just sitting in my closet. Another strong reason I feel my sales increase because of modeling is something that professional fit models do, they’re able to communicate how an item actually feels. This might seem small, but oh it’s so powerful! Don’t you hate when a sweater is itchy? Doesn’t it bother you when a button up is tight around the armpits? Isn’t it annoying when you’re constantly pulling at a skirt because it rides up when you walk?? Meeeee too 🤦🏾‍♀️!! Since mannequins don’t talk and can’t move, there is a huge disadvantage in not being able to describe an item in theory vs. reality. Being descriptive due to putting the merchandise on helps add knowledge to how an item can even be worn. And being as descriptive as possible can bring up a feeling that connects a buyer with an item. For example if I say a sweater feels “warm and cozy” then model in a way that supports that, people often internally want that for themselves. They want to feel warm and cozy as well so, they buy. The final reason I think modeling increases sales is because it allows you to bring in your own brand image. You get the freedom to create an outfit that you might not even normally wear, but can make look great so that the person who would normally wear it suddenly is more enticed to buy. 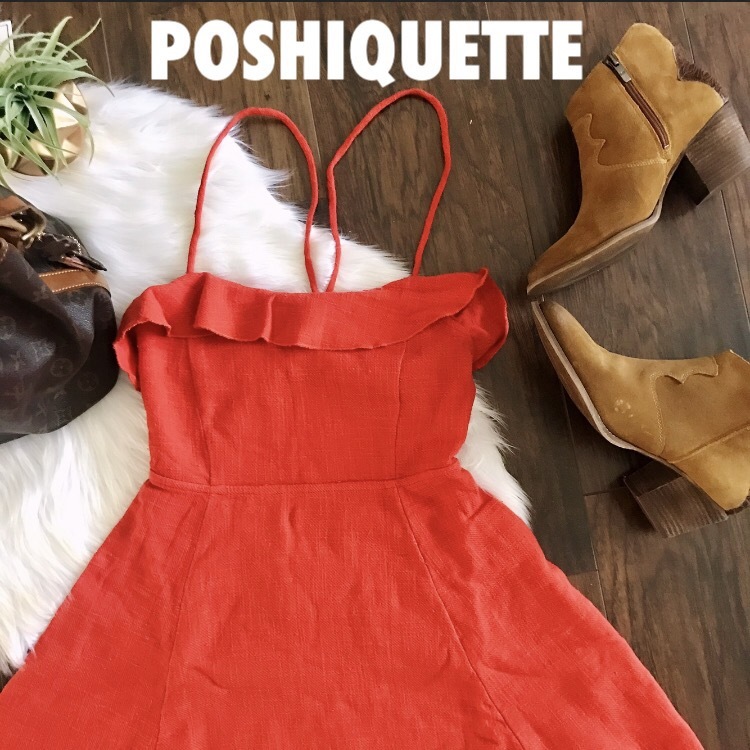 When scrolling through images and thumbnails on Poshmark, what normally captures my attention are bright colors, unusual angles, and stylings that appear different from the majority. Clothing displayed on white, bright, or organized backgrounds equals clean and well taken care of in my opinion. So before I’ve even clicked on the item, I’m assuming it’s in excellent used condition and that this person is a responsible seller. Clothing that is modeled by a seller also gives me the feeling that they are very knowledgeable from a fashion standpoint and can answer any further questions I might have regarding the potential future purchase. More eyes on your items because of the attention capturing photo leads to likes. Likes and interest lead to questions and conversations, which can often lead to sales. This example shows how I was able to model in such a way that the buyer could visualize on herself since we have similar body types. This next example was a large Victoria Secret Pink bag that I had previously flat laid. Once I changed the photo to show how it could be carried and hold a yoga mat, it resulted in a buy. The final example is showing how modeling created a strong need to buy. It not only resulted in a purchase, but also I sometimes can ask for a higher price because I modeled it and it looks that appealing. I challenge people to think outside the box when it comes to photography for Poshing. Of course listing an item in and of itself is a huge accomplishment regardless of how you do it 🙌🏾 (especially if you have a death pile), but going the extra mile to show how to wear an item, I feel, has huge benefits. I may not get 50 items listed in a day, but the carefully chosen 10 items I model and list could have equal if not higher payoff when sold. Modeling adds interest, captures the imagination, and for my closet has greatly contributed to an increase in sales. I hope any readers have found this helpful and valuable. Questions and comments welcome and as always Happy Poshing 😊!! I don’t know what it is about the fall season that seems to make people want to open cases on me 😝. Maybe it’s the cooler weather, maybe it’s the closing of the year, or maybe it’s been too long of a “good streak” and all good things have to come to an end sometime. Regardless, this is obviously going to be a deep post. If you’ve already seen my post on losing a Poshmark case, you know how I’ve started to approach these situations. Get your reading eyes out, time to see what’s different, what’s the same, and if I’m able to cope with life after yet another case opened against me. I’ve debated posting this for a long while. Not because it’s unusable, but I had hesitation about giving away some of my golden info. Welp, I’ve decided to bite the bullet and do the thing that makes zero sense. I’m going to tell you where I thrift and shop for my inventory, how I find items when I go, tips and tricks to get the most for your purchases, and how to flip them for profit. This will be a few part series so be sure and subscribe so you don’t miss all the goods. As you all know, I love love love Poshmark!! It’s been fun for me to sell to other people and make a little money on the side doing it. However, anytime you have a lot of greatness going on, there are bound to be a small population of bad apples attempting to spoil the whole bunch. Oh this post has been a loooong time coming. I LOVE Poshing. Nothing brings me more pleasure than to sit down with a warm cup of tea and chill on my phone Poshing away.